With the best eCommerce platform for SEO, 3dcart provides an all-in-one solution for eCommerce retailers to build, promote and grow their online stores. 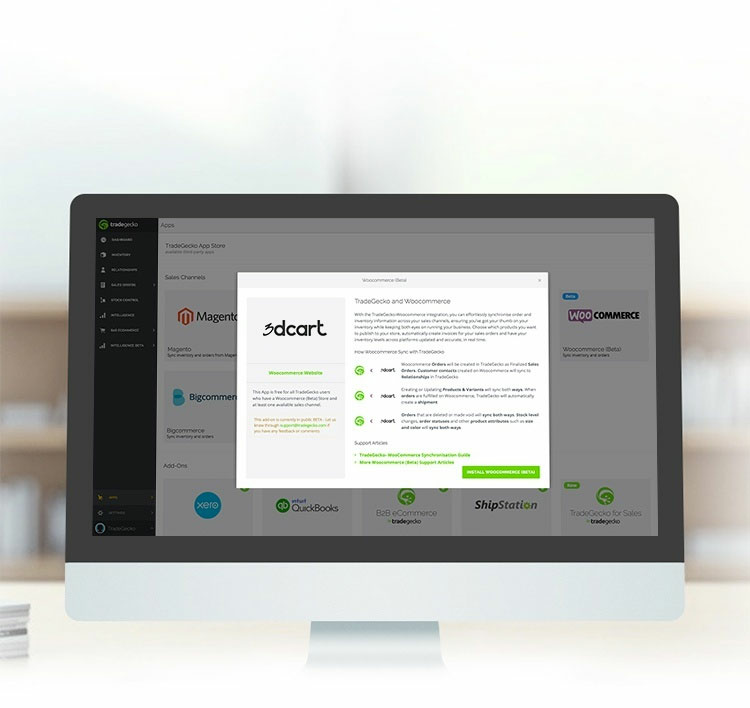 More than just shopping cart software, 3dcart is a full-feature solution and offers everything for managing inventory, to processing payments and shipping. Jimmy Rodriguez, COO of 3dcart. When retailers integrate 3dcart with TradeGecko, orders placed on the 3dcart store will be synced automatically with TradeGecko, providing a single view of the entire business at a glance. Information pulled from TradeGecko will update 3dcart product stock levels, product information, pricing and descriptions, on an hourly basis. Simply choose which products or variants you want to publish on 3dcart and your product information will be will be pushed from TradeGecko instantly. When an order is placed in your 3dcart store, TradeGecko automatically creates a sales order and invoice, saving you hours of unnecessary work. Inventory levels will automatically sync on TradeGecko looking after multiple sales channels seamlessly. Merchants who also sell products on 3dcart can now import orders from 3dcart to TradeGecko for processing. Using the left hand navigation menu, go to "Modules"
The integration between 3dcart and TradeGecko is now available! Unleash the power of multichannel inventory management for 3dcart today! Connect your 3dcart store with TradeGecko's in less than 2 minutes.